One year later, both Michael Cohen and Aleksej Gubarev are suing BuzzFeed. On February 3 2017, Aleksej Gubarev — the CEO of XBT Holding, a Luxembourg-based web hosting company — sued BuzzFeed and Ben Smith, its editor in chief. BuzzFeed has apologized to a Russian tech executive whose name appeared near the end of the document, which claims that he was “recruited under duress” to help Russian intelligence services and became a “significant player” in Russian hacking operations. Gubarev’s company are suing BuzzFeed and Smith in Florida, where XBT’s Webzilla subsidiary is based. Gubarev’s company also filed a suit in London against former British spy Christopher Steele, who created the dossier. On January 9 2018, Michael Cohen — Donald Trump’s personal attorney — sued Buzzfeed for defamation over allegations about him in the dossier, which Buzzfeed had published. RELATED POST: The ‘Trump Dossier’: A Clever Fabrication? RELATED POST: From Watergate to… ‘GoldenGate’? According to a National Security Agency report to Congress that was released recently under the Freedom of Information Act, US Intelligence officials have ‘educated’ members of the press on at least three occasions in 2013. As Professor Paul Gregory wrote, the ‘Trump Report’ is mostly unverifiable. It is NOT an Intelligence Report. It is no more – at best – than RUMINT [Rumour Intelligence], GOSINT [Gossip Intelligence], and, as we shall see, FAKINT [Fake Intelligence]. The ‘Trump Report’ is mostly unverifiable but not entirely as the memos claim to reveal two high-level crimes. These two pieces of information are verifiable. They can be proven or disproven. The first one involves Trump’s lawyer Michael Cohen. The second involves a Russian businessman names Aleksej Gubarev. One of the few verifiable facts in the Orbis report is the key role played by Trump’s “personal lawyer” Michael Cohen. Cohen purportedly took over the negotiation of the Sechin deal, and, when the Kremlin got cold feet over its hacking campaign, it turned to Cohen to cover up the operation, meet with the Kremlin’s Presidential Administration, and make illicit payments to shut up and move the hackers to Bulgaria. A key meeting was held in Prague in August of 2016 with Cohen accompanied by three colleagues. The meetings took place in the offices of a Russian quasi-state organization, Rossotrudnichestvo. “Michael Cohen, who was said to have visited Prague in August and September, did not leave or enter the United States during this time. The ‘Trump Dossier’ claims that global tech firm XBT Holding, with operations in Dallas, was instrumental in the hack of leaked Democratic Party emails. XBT is run by a successful Russian tech startup expert, Aleksej Gubarev. Gubarev was surprised to see his name in the report. What does the FBI know? And when did they learn it? The FBI found no evidence that Michael Cohen visited Prague in August or September 2016. It should have taken very little time for the Bureau to disprove the story of Alexsej Gubarev and realize that the source and author of the ‘Trump Memos’ is a con artist who picked up some information about Gubarev in a Bloomberg Russia publication. FBI agents were in contact with Christopher Steele since – at least – August 2016 and the ‘Trump Memos’ were forwarded to the Bureau in real time. So far, neither the Bureau nor anyone else has asked any questions to Aleksej Gubarev. 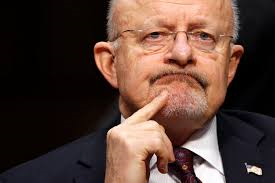 What does DNI James Clapper say? The way the ‘Trump Dossier’ was handled by the US Intel Agencies raises three distinct questions. Should such a private unverified report have been brought to the attention of the US President and President-elect? To be fair, one can perhaps argue this issue either way. However, a consequence of these briefings is that the ‘world’ is now taking this ‘Intel Report’ seriously because obviously the US Intel Agencies do take it seriously and regard its author as a credible person. Who leaked these briefings to CNN and possibly other Medias? Mr Trump is clearly convinced that US Intel Agencies are out to get him, and he may be right. But there is no proof that this leak comes from the US IC. Clearly, the person who leaked that information has caused great damages to the US, and possibly to the future of US-Russia diplomacy. Why was nothing done by the US Intel Agencies to prevent the release of this ‘Dossier’ which has already caused great damages to the US regardless of the questionable veracity of its content? The IC knew that the ‘Trump Dossier’ was erroneous on easily verifiable issues (Cohen, Gubarev) and they knew that Christopher Steele was in contact with some media. Why was no attempt made to talk to the journalists while pursuing quietly a serious investigation of the various allegations? If the report is a fraud, as I believe, what a mess could have been avoided. If the allegations are true, extraordinary sources with access to Putin’s inner circle have been lost forever. And this would surely amount to a serious “loss of the capability” for the US Intelligence Community. Judy Woodruff speaks with former NSA lawyer Susan Hennessey and former CIA officer John Sipher for analysis. This entry was posted in Fake News, FBI, Freedom of Information Act, James R. Clapper, Journalism, Media, ODNI, Spooks & Media, Trump, Trump Dossier and tagged Alexsej Gubarev, Charles Schumer, Executive Order 13526, FBI, Freedom of Information Act, James R. Clapper, John Sipher, Journalism, Judy Woodruff, Michael Cohen, ODNI, Orbis report, PBS NewsHour, Professor Paul Gregory, Putin, Sean Spicer, Spooks & Media, Susan Hennessey, Trump Dossier, US President-Elect Donald Trump. Bookmark the permalink. 1 Response to One Year Ago — “Trump Dossier”: Can Intelligence officials ‘legally’ disclose classified information to members of the press? 12 June 2016 – Julian Assange, founder of Wikileaks, said that the journalist organisation is planning to release upcoming leaks in relation to US presidential hopeful Hillary Clinton. Comment: The headline and content is misleading as Assange stated ‘Clinton related emails’ and this would not represent ‘more leaks’. On March 16, 2016 WikiLeaks launched a searchable archive for over 30 thousand emails & email attachments sent to and from Hillary Clinton’s private email server while she was Secretary of State. The 50,547 pages of documents span from 30 June 2010 to 12 August 2014. 7,570 of the documents were sent by Hillary Clinton. The emails were made available in the form of thousands of PDFs by the US State Department as a result of a Freedom of Information Act request. 14 June 2016 – DNC and their representatives immediately react and go on the defensive, inform Washington Post. They create the story and match two issues Russia & Trump. 15 June 2016 – Crowdstrike with ex-FBI folk dutifully publish a blog post ‘Bears in the Midst’ which has since been severely criticised. 17 June 2016 – Fusion GPS hires Christopher Steele / Orbis Business Intelligence Ltd including associate Sir Andrew Wood GCMG. 20 June 2016 – First ‘company intelligence report 2016 / 080’ from Christopher Steele to Fusion GPS. And just like that a 18 month and counting fantastical story is born all because of DNC emails! “In the City of London this is known as talking one’s book. On Madison Avenue, in New York City, it’s called advertising. Chatham House is applying for money for former British government officials to write reports to US, British and NATO intelligence agencies for the job of winning over, or neutralizing, those who are victims of Russian disinformation because they don’t believe what the US, British and NATO intelligence agencies have been telling them. The more incredible this proposition sounds, the more urgently Sir Roderic Lyne and Sir Andrew Wood and several other Chatham House apparatchiki say they need the money. Sir Andrew Wood was U.K. Ambassador in Moscow 1995-2000, and has since then worked with a number of U.K. based companies interested in the Russian market, and is an associate fellow at Chatham House.